My mum started to struggle with life in her early 50s. She was a vibrant, modern lady that loved her family, fashion and travelling. So when her behaviour started to change, dementia was not on our radar, and it was two years before we finally got a diagnosis. For mum, it wasn’t simply forgetting things – it was processes that started to go wrong. Making a cup of tea was so confusing to her, and daily tasks became a challenge. Her moods changed, and she targeted her frustration and anger at my dad, the man who she relied upon for care, love and security. This gentle, five-foot lady became violent. For a few years, medications helped with the symptoms, but ultimately, her condition got worse, and she had to move into a care home. Our family’s heart was completely broken. I have always been very close to my mum. Watching the centre of our family shrivel into a shadow of her former self has been torturous. Hallucinations, incontinence, seizures, and loss of language are all part of Mum’s life now. Her body is not elderly – she is only 67 years old – so she continues to be active, but her brain has lost her personality. As a family member, Alzheimer’s disease makes you feel so out of control. It’s a terminal diagnosis and there is currently nothing you can do to change it. I was so angry when I found out that there are no treatments that can slow the progression of the disease. It was this that made me read up on the work of Alzheimer’s Research UK. I know they are going to bring about change. Their mission is to find the first life-changing treatment for dementia by 2025. By supporting the charity with fundraising, I felt I was at least putting my energy into something that will ultimately find a treatment for this cruel illness. Sadly, nothing can stop my mum’s journey now, but by investing in research, we can try to stop this from happening to future generations. I was really pleased to hear that RICOH is supporting the charity in such a comprehensive way, and I was particularly enthused to read about the launch of ‘Printed Memories’. It allows a carer or loved one of a person with dementia to drop a postcard onto their doormat. That small gesture can mean so much; a picture to remind you of the wonderful person you are caring for, a token that simply says ‘I’m thinking of you’, and a chance to remember happier times. I still laugh and enjoy spending time with Mum. There is still joy in spending time with her. Printed Memories is a way to add a smile to our day in the face of dementia. 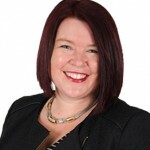 Amanda Franks lives in Swindon, Wiltshire and owns a commercial recruitment agency, Frankly Recruitment. 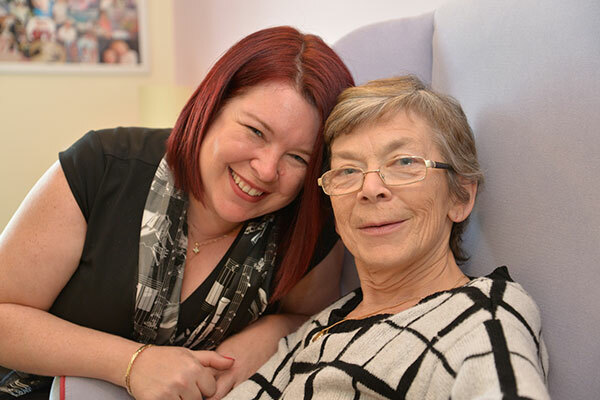 Amanda became a supporter of Alzheimer’s Research UK after learning about the massive underfunding of the condition her mother has lived with since she was 58. Along with her extended family, Amanda raised over £15k for Alzheimer’s Research UK in 2014 with The Gig to Remember – Bringing the Bootleg Beatles and Duke Beatbox to Swindon’s Oasis. Want to know more about Amanda’s story? See www.thegigtoremember.com.